One of the most important steps in the process of becoming a full-time freelance writer is creating your own portfolio. Having a portfolio allows you to demonstrate the skill level and range of your work to any potential employers. Putting it together can help you to organize your thoughts and decide what your priorities should be as a freelancer. Whether you’re an experienced freelancer or you’re just getting started, making a portfolio can be an enlightening process. Decide who you’re trying to reach. Your first step should be to figure out what type of clients you are hoping to impress with your portfolio. Whether you are trying to write for law firms, medical clients, vintage clothing stores, or pop-culture sites, your priority should be demonstrating that you have the skills and professionalism required to provide those clients with high-quality content. It may help to take out a notebook and sketch out a brief idea of a sample client. What do they do? Which kinds of online content they want? What kind of voice do they want reflected in their work? It’s always a good idea not to limit your writing samples to a single category, even if you are primarily interested in only one marketplace. If you’re interested in writing for medical clients, for instance, you may want to include samples about subjects that are far apart—such as dental lasers and speech therapy—in order to showcase your versatility and ability to write for more than one type of audience. Then, if you want to begin writing in a different field, you won’t have to start back at square one. Write the kind of content you want to be paid to create. There’s one simple rule to keep in mind when you’re deciding what to write for your portfolio. Write what you want to write. This might sound like a truism, but it’s literally true. You should write the kind of content that you want to write as a professional. If you want to be a book critic, write a sample book review. If you want to make a name for yourself as an expert on Constitutional law, write a sharp and detailed analysis of a recent case. The more specific you are in targeting the type of clients you want to do work for, the better. Aim for a wide audience. When you’re writing sample content for a portfolio, it’s important to keep in mind that you’re not just writing for one specific type of employer—you’re aiming to reach anyone who might be interested in offering you a writing gig. That means that your sample shouldn’t be so narrowly targeted that it’s incomprehensible or unapproachable to anyone outside the industry. Even if you’re writing about an arcane topic, make sure that the writing is clear. If you’re in doubt, try showing your writing sample to someone you know who is unfamiliar with the subject matter and ask them if they are able to understand it. The more universally accessible a piece of sample content is, the more useful it will be for you. Don’t be afraid to diversify. Employers tend to gravitate toward writers who are highly versatile and can take on any challenges tossed in their direction. Once you’ve got a few writing samples in your portfolio, ask yourself if they do justice to your full range as a writer. If they don’t, then you might consider adding something completely unrelated to demonstrate how diverse your writing abilities are. Say your portfolio is largely focused on writing about comics and movies. You might want to include a piece of writing about science or law to show how far you can stretch your skills for your clients. Use more than one content format. Ask yourself if the content you’ve written feels interesting and unpredictable, or if all the samples read the same way. If your content is too similar, then you may want to think about trying out a different format for one of the samples. Put yourself in your clients’ shoes. Would you rather hire a freelancer who can only produce blog posts, or one who can produce high-quality blog posts, press releases, social media posts, and onsite copy? If your portfolio’s samples all feel different and distinct, then you’re on the right track. Show your portfolio to someone else. Here’s an age-old trick. Ask a trusted friend to read through your portfolio and offer any advice or suggestions they have. You don’t necessarily have to follow their suggestions, of course. However, simply having someone to bounce ideas off of can be helpful, especially if you’re new to the world of freelancing. If you know any other freelance writers, that’s even better. A seasoned freelancer will be able to tell you whether you’ve put together a portfolio that will make an impression. Are you ready to begin exploring your options as a freelancer? Whether you’re interested in doing freelancing full-time or as a side hustle, Writers Work can give you the array of resources you need to take on new challenges with confidence. 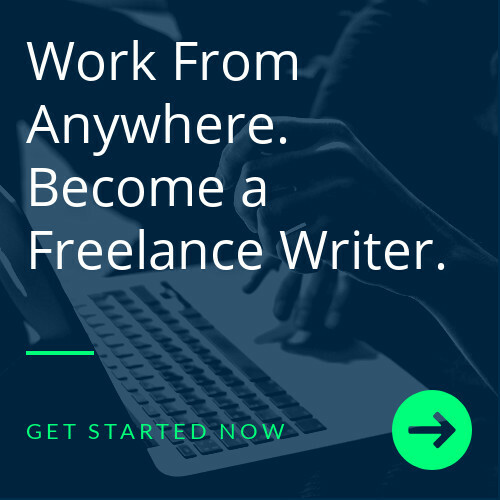 From our curated job listings to our series of information-packed videos, our site offers a full set of exceptional features that will help smooth the road to becoming a professional freelance writers. If you’d like to learn more, visit our home page and watch our introductory video today! How much time does it takes to get a client for a new freelance writer after making a portfolio.